When it comes to innovation, custom made designs, futuristic style, and best of choice quality, Paulo Cruzes is undeniably the one and only. CAMPBELL, Calif. - Sept. 11, 2013 - PRLog -- Paulo Cruzes is an expert master builder of one of a kind tattoo machines. He has established his calling with great success. The visionary tattoo machine builder passionately creates unique designs his clients appreciate and hold him in high regard for. Paulo Cruzes brings his extensive experience to each machine he builds. He has worked with and understands both Rotary and Coil tattoo machines and educates his customers and fan base on the individual differences. Out of the various types of tattoo machines, the coil and the rotary tattoo machines are most popular and commonly used. Most professional tattoo artists either use coil or rotary tattoo machines in their shops. Coil tattoo machines are known to be good at making smooth lines and shading. Rotary tattoo machines are favorites because they have a lower weight. Low weight and easy handling matters a lot in tattooing. The reason why rotaries are considered lighter is because of their inner structure; unlike coils rotaries do not have electromagnetic copper coils in them. The copper coils are quiet heavy and this makes the whole machine heavier. Although coil machines are the standard tool of tattooing, the rotary machines are been adopted by tattooists because of easy handling, less hand and finger cramping and fewer mistakes. Paulo Cruzes has a wealth of great rotary tattoo machines and designs that are all available at the website http://www.rotarytattoomachine.co. 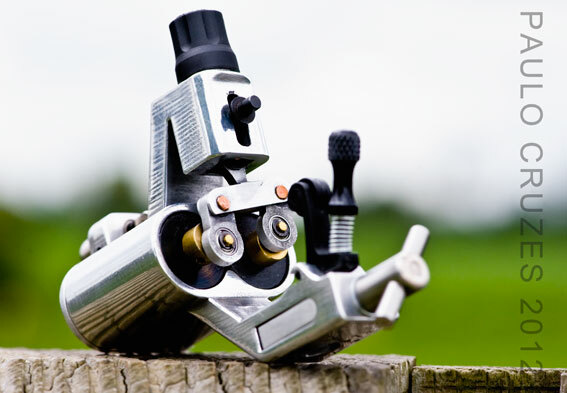 The website provides an assortment of detailed photographs and allows for visitors to easily purchase one of Paulo Cruzes elegant tattoo machine designs. When it comes to originality, custom made designs, modern style, and high quality, Paulo Cruzes is undeniably the one and only who is rising above others as an expert master tattoo machine builder.